Newzie - A nice, free feed reader ~ Android Forever! 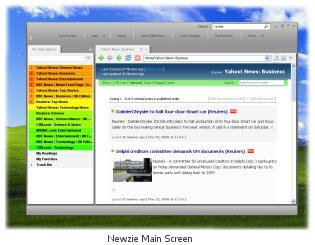 "Newzie is a news aggregator, which can be used to monitor RSS and ATOM formatted feeds, as well as normal webpages. It periodically checks your subscriptions and automatically retrieves new content. It then notifies you and presents those updates. While keeping you up-to-date with latest news, Newzie also saves your time by making things automated and easy-to-reach."